There’s nothing quite like the soul-shaking rush of the Nurburing’s play-an-play Nordschleife, to kick off a summer of trackday fun. I’ve been addicted to the Nurburgring since I first came here in 2001. That was the same year the GSX-R1000K1 was launched and here I am now, 16 years later on my L7 model, with the kind of power and electronic rider aids that old ‘Gixer thou’ could have only dreamed of. 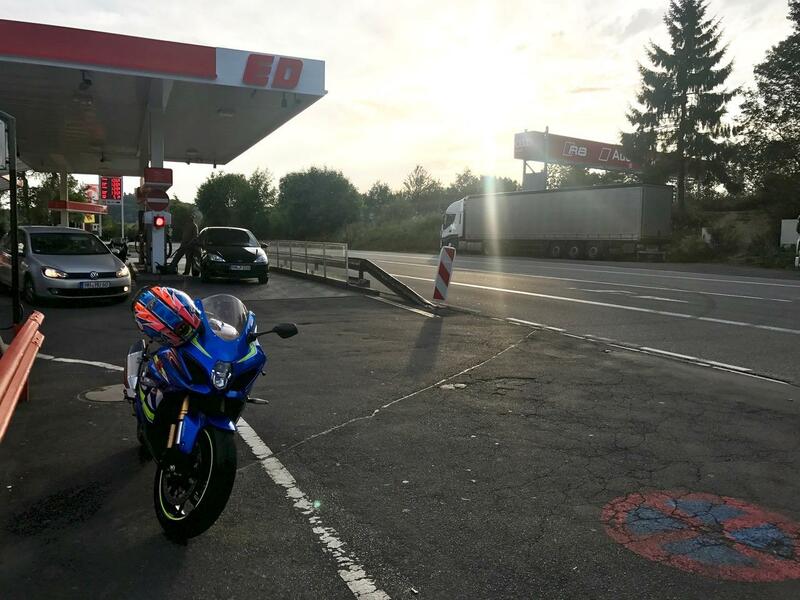 Every Ring experience starts with the ritualistic visit to the petrol station, just down the road from the circuit, to fill up with fuel and buy a pocketful of laps. From service station to track the nervous energy and shaking-anticipation builds and by the time I pull up to the barrier that separates me from the most formidable short-circuit in the world. My whole body is on red alert. Eyes on stalks and nostrils full of the sticky stench of burnt brakes and clutches from fast Porsches and BMWs, a rusty first lap comes full of trepidation. With barely a breath for minutes at a time, my eyes are on stalks as I try to bring the crazy speed of this German petrol-fuelled playground into focus. But it doesn’t take long for the memory to kick in and the speed to build. Before I know it I’ve greedily burned through my laps. A Ring experience always ends with a frazzled mind, rushing with the purest, most potent drug known to man: Class A adrenalin. The euphoria of having got away with it again is enough to carry me all the way home on Cloud 9. My GSX-R1000R is at home on this 12.8-mile, 73-corner warp speed stretch of roller-coaster tarmac. It’s agile, sweet-steering, handles with poise, precision and has acres of ground clearance. The clever VVT engine destroys the longest straights in an instant and the quickshifter is a joy to dance with. With so many high-speed blind crests, it’s best to turn the TC off to stop the power stuttering when the front goes light. There isn’t much hard braking here, so there’s no problem with stopping performance, but the autoblipper gives a random blip every now and then into corners when you’re pushing. It sends you sailing past your turn-in point with your heart and the taste of hospital food in your mouth. 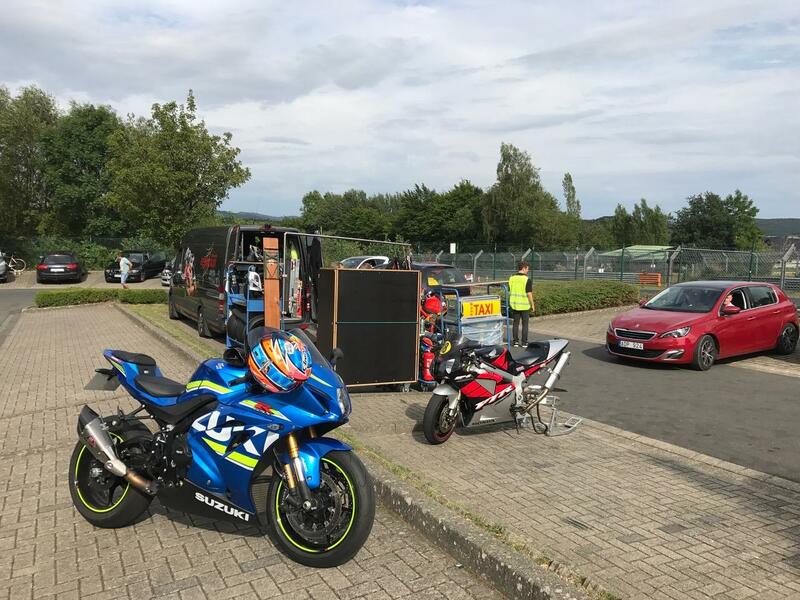 The Ring’s surrounding roads are as dramatic as the track itself and heading home via Monschau on the sinuous 258, my Suzuki slips easily from sharp-toothed track tool to a road bike with poise, a buttery spread of power and well-judged electronics. 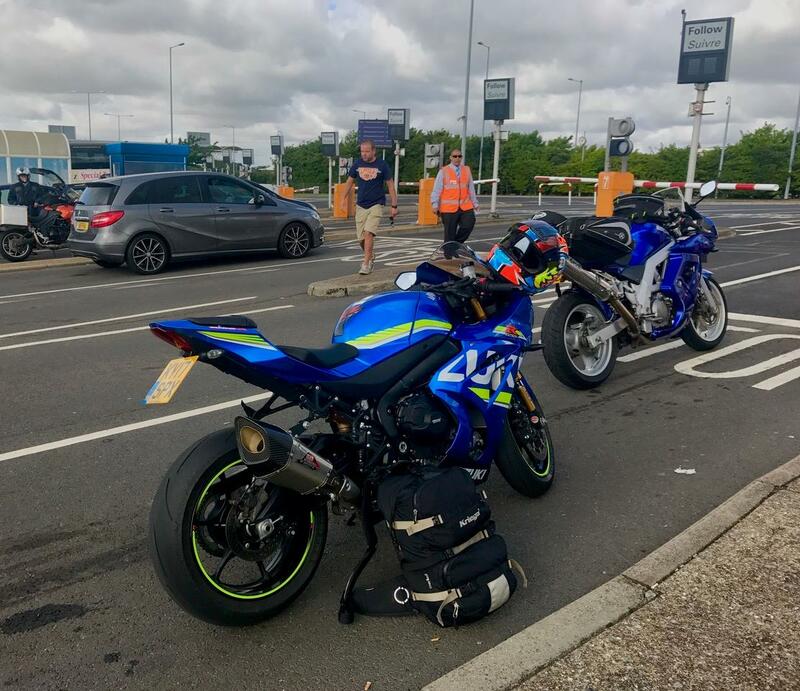 On the mind-numbing trudge through Belgium and France on the E40 motorway, the GSX-R1000R is comfier than my old ’15 R1 and ’16 ZX-10R and does an average of 150-160-miles to the tank. 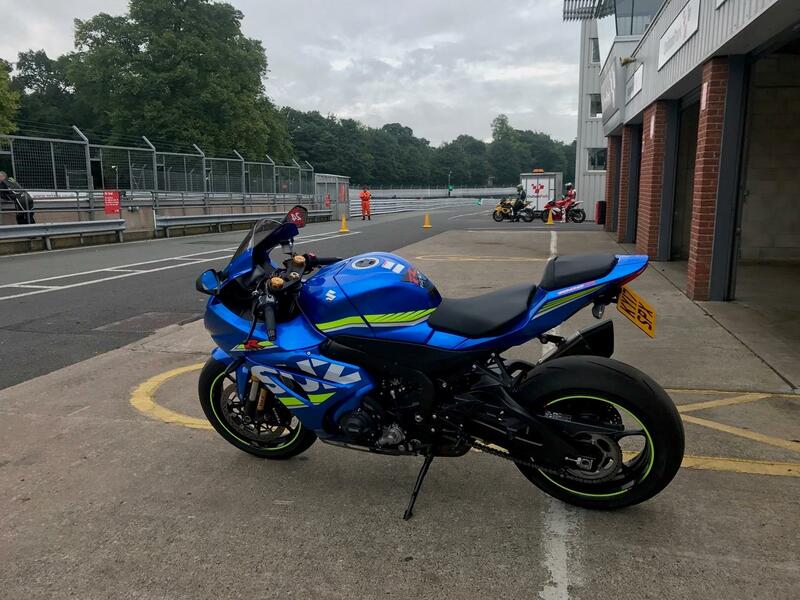 Away from the Ring I’ve ridden my GSX-R1000R at Brands, Mallory, Cadwell, Oulton, Silverstone and Rockingham. With its easy power delivery, sure-footed handling (aside form the odd kick of the bars under power over bumps), fool-proof traction and wheelie control, the Suzuki shines, no matter what size or shape track you’re at. 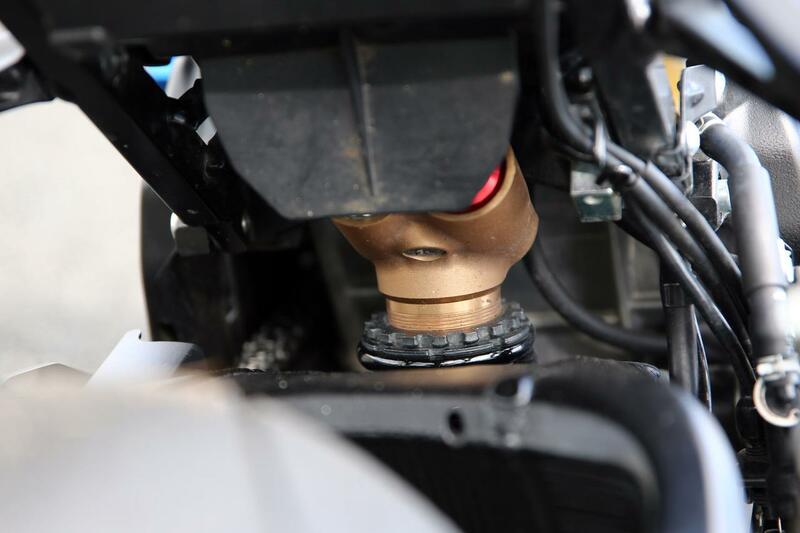 When the front brakes get hot on track (not a problem on the road) they quickly fade. You have to set the span adjuster to maximum to keep the lever from coming back to the bar. 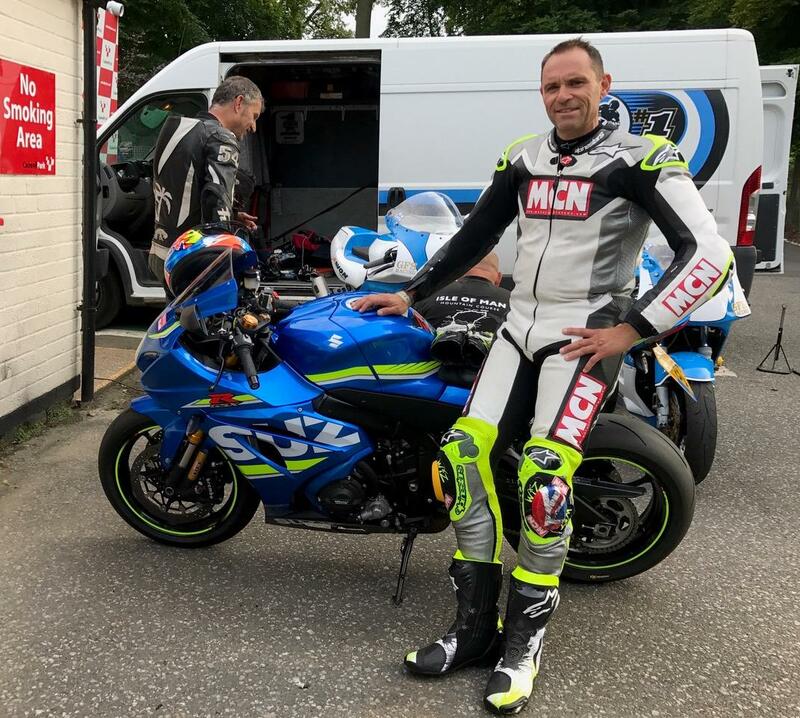 The ABS intrudes far too early, too and entering corners like Paddock at Brands, Cadwell’s Park and Hizzy’s at Oulton, the brake lever shudders in your hand as the over-eager electronics mess with braking pressure. Add in that sometimes-wayward autoblipper and the only way to avoid rushing into corners too fast (worrying around other riders) is to brake much earlier than the bike is capable of. 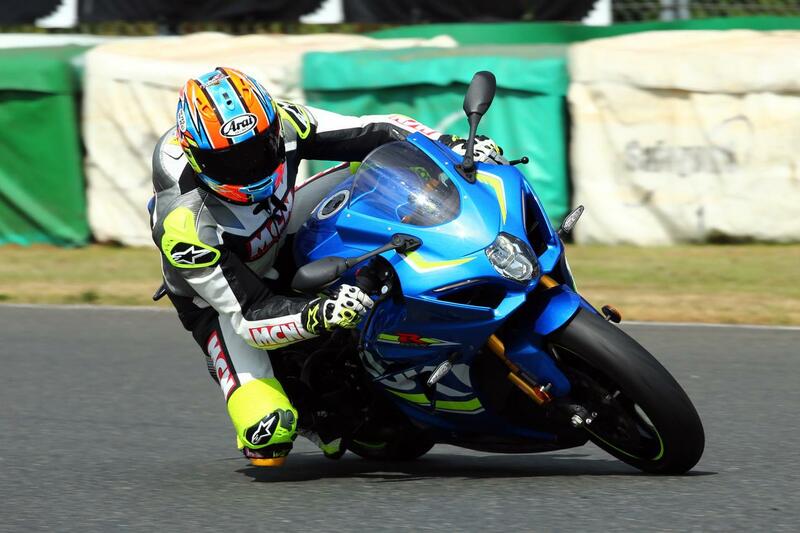 I rode Richard Cooper’s superstock GSX-R1000R recently. With a racier master cylinder, quality fluid, braided lines and no ABS, the brakes are strong and consistent. 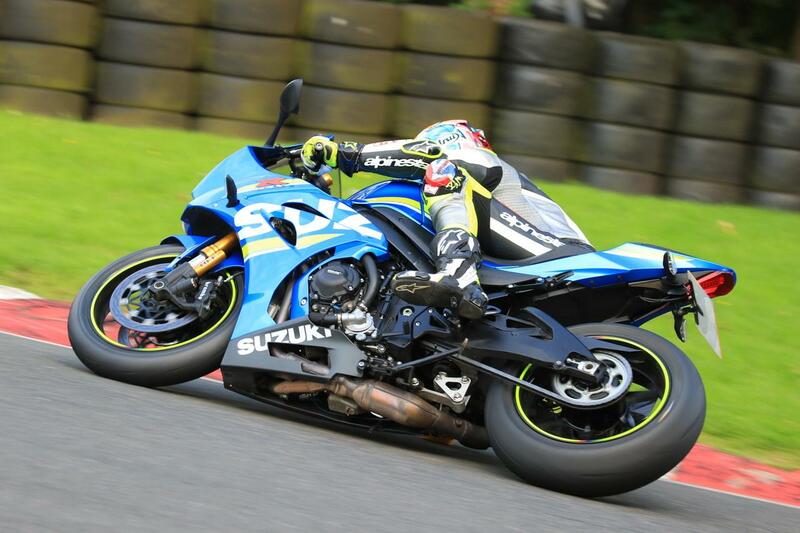 If I were to spend more time on track that’s the direction I’d go to make my Suzuki as impressive into corners as it is out of them. 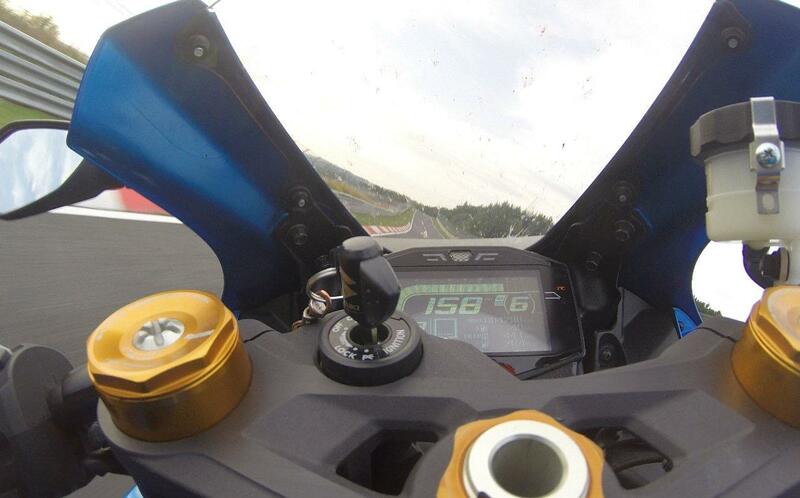 Trackday-friendly Akprapovic R11-sq slip-on can is only 96db without the baffle. Best grip this side of a full-race tyre. Over 3000 road and track miles from the rear. 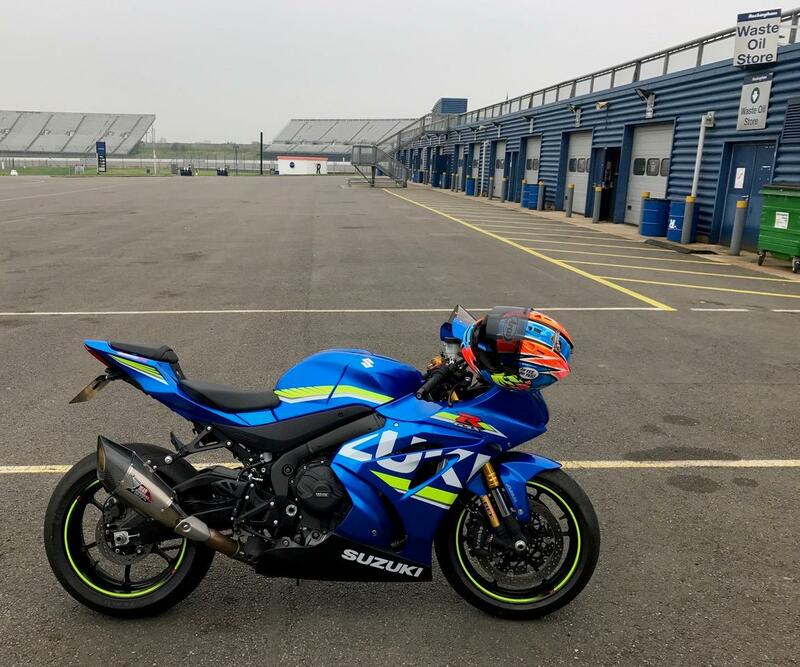 We spoke to Hawk Racing boss Steve Hicken to find out his top three trackday mods for your GSX-R100R. The team runs Richard Cooper in National Superstock 1000, Michael Dunlop on the roads and the BSB team of Mackenzie, Guintoli and Ray. “If you’re going to do a lot of trackdays fit race bodywork and engine protectors…just in case. 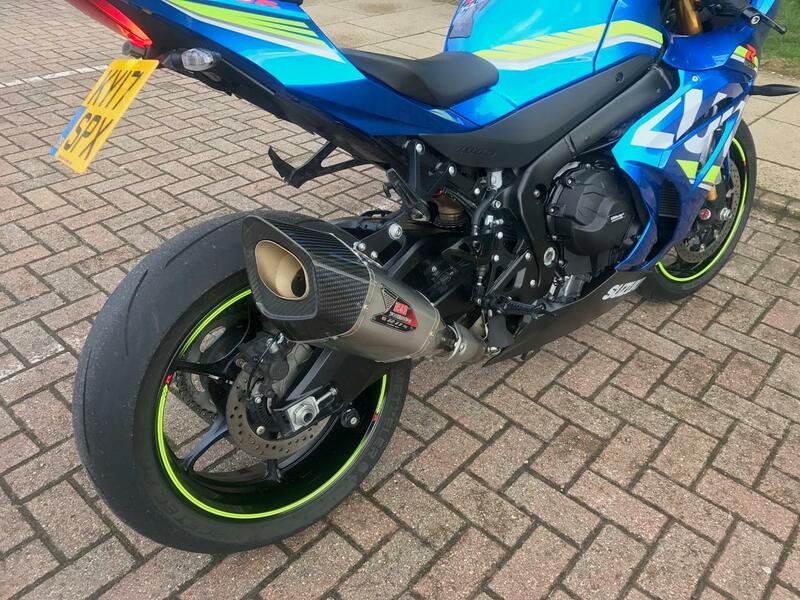 I didn’t want to go too extreme with suspension settings or change geometry (Hawk Racing raise the front on Richard Cooper’s superstocker for more rear grip and less front tyre squash) as most of my time I ride my Suzuki on the road. For a full-time track bike with slicks you could go even stiffer, but this is a good road/track compromise. Adjustment is easy with a screwdriver and socket set, but the rear shock preload collar is near impossible to get to with a C-spanner. 30 minutes of swearing skinned knuckles, a cut wrist and some missing shock paint equals one complete turn. 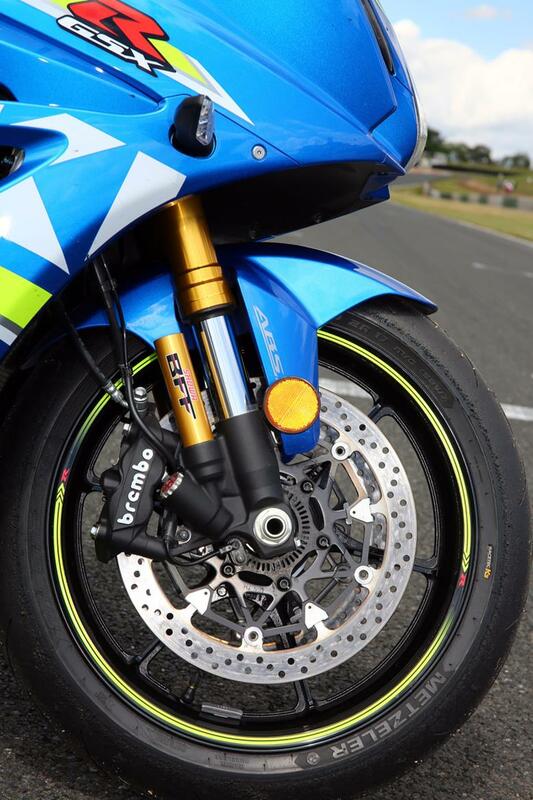 All settings start from standard (I’ve also shown settings from 2017 Phillip Island GSX-R1000R launch with standard Bridgestone RS10 tyres).